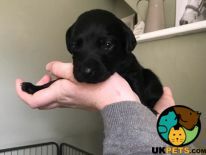 Beautiful black Labrador puppies. Home reared from a super family pet mum. Puppies will be vaccinated, wormed, microchipped and KC registered. First litter for mum. 6 boys and one girl left. 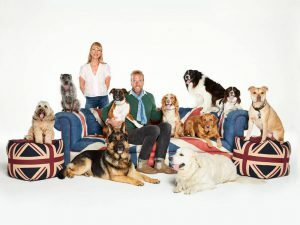 £200 deposit secures your pup. 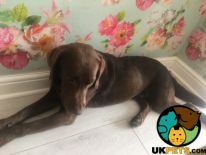 We are looking to rehome our gorgeous pet chocolate Labrador Mia. She is 2 years old, comes well trained and with all her toys, leads etc. Unfortunately we are looking for someone to take her under adoption due to work commitments meaning relocation and we have another baby soon on the way. We are very precious about our little girl so it is important for us that she can get a good home. I HAD A CHOCOLATE LAB 'POLLY' FOR 17 YEARS AND AM LOOKING FOR ANOTHER SINCE SHE DIED 5 YEARS AGO. I AM IN MY 70s NOW SO WOULD PREFER AN OLDER DOG, 2 OR MORE YEARS OLD. Our stunning boy Charley is available for stud, he has a beautiful chocolate brown coat. Charley has been brought up in a loving family home with children and other dogs. He is a prime example of his breed- with no health issues.All vaccinations, flea and worm treatments are up to date. £100 payable on first tie- any further ties are free. You are more than welcome to come and view this handsome boy. Please feel free to contact me at: Monday-Friday after 4pm, and Saturday, Sunday at any time or email me any time.